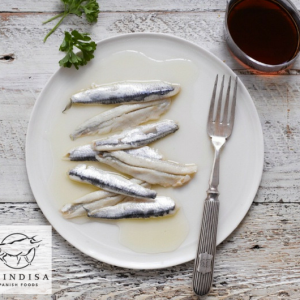 Celebrity chefs on both sides of the Atlantic are loving all that’s delicious in Vejer de la Frontera. 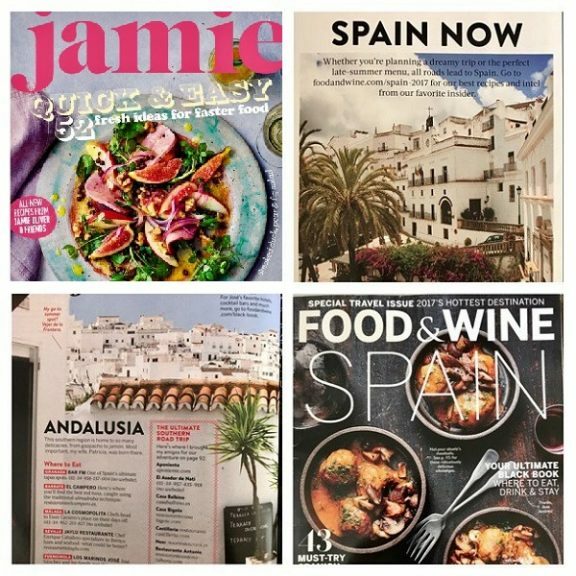 Both the September issues of Jamie’s magazine and the USA’s Food & Wine have been singing the praises of the town’s gastro credentials. 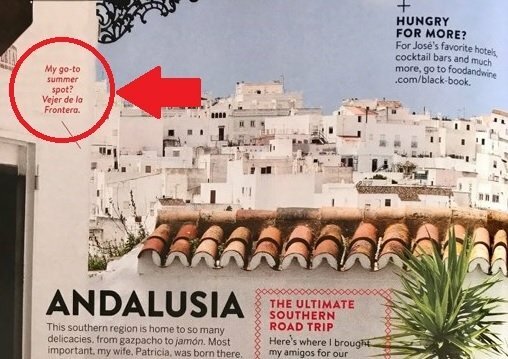 Over in a Spain Special edition of F&W, meanwhile, guest editor José Andrés went one step further and listed Vejer as his “go-to summer spot”. Let’s just roll that over the tongue again and savour it. 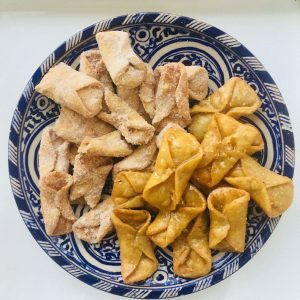 José Andrés, one of the world’s best-known and most influential chefs, is picking out Vejer as THE foodie destination in Spain. He’s not talking about the wonderful shops in Vejer, say, or the fabulous nearby beaches. He’s just interested in the food – and it’s for that reason alone that he’s picked it out. I can’t say I’m altogether surprised. But it’s still quite an honour. 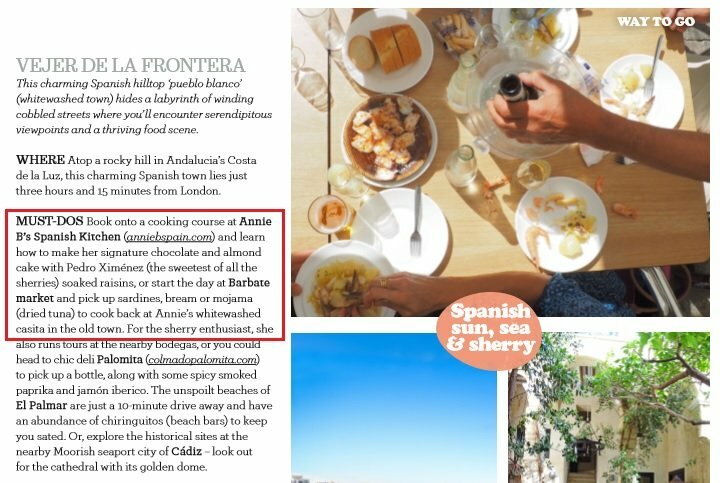 Want to read more rave reviews of my town – and, ahem, my cooking holidays? Check out my press page.